If you believe that you deserve only the best quality of service for the value of the money you pay for it, then we are following one and the same religion. As a moving contractor with years of experience serving the district of Pimlico, we always strive to maintain impeccable standards for removal services in Pimlico, so that with no exception we are able to achieve utmost customer satisfaction. Complete comfort and peace of mind during the time your property is transported to the new location. Your relocation completed in a timely fashion with the help of GPS coordination, specialized tools and equipment and all the skills our technicians and drivers can bring to the table. Competitive prices individually estimated in order to fit the specifications of the job. 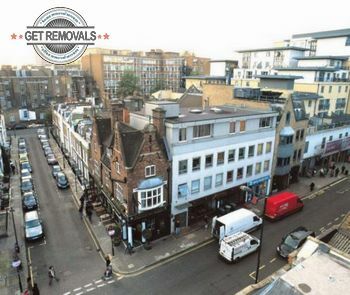 Over the past years we have successfully carried out thousands of removals Pimlico residents and business owners have had for us, so there is no reason why you should not trust us to do the same with your project. With our moving team by your side, all your worries will go away. The safety of your items is guaranteed by the state in which our clean vans, all equipped with safety blankets and other gear. Also we offer very attractive packing services (high quality packing materials provided by us) in order to further ensure the job is done properly. The full insurance liability goes without saying. If you want to know exactly how much you are going to be required to pay for the pleasure of having your property relocated by us, all you have to do is request a free no obligation quote from our around the clock customer support. The price you will be told is going to be final – there will not be any additional charges and hidden taxes at the end of your moving day. We are certain you will be pleased by the quote you will get. SW1V Pimlico is a well known Inner London district. Primarily a residential area, it is a very affluent place. The large garden squares and the distinct Regency architectural style are the two features most characteristic of Pimlico. Winston Churchill, Laura Ashley and inventor of lawn tennis Major Walter Wingfield all lived here. Pimlico is a center of a busy political activity due to the close proximity of the Parliament. There are several very notable buildings here that deserve a mention – the Dolphin Square, where many members of Parliament live, the famous Churchill Gardens, many beautiful Anglican Churches, and the popular art gallery that goes by the name of Tate Britain which stores works by such artists as Tracey Emin, John Latham, Douglas Gordon, Sam Taylor-Wood. Pimlico is one of the most prestigious districts in London today, and there is no sign that its importance is going to fade any time soon.